Aaron Duff was raised in Hillsboro and attended Hillsboro Schools, graduating with the class of 1990. He is the son of the late Steve and Paula Duff. He is a science teacher and the head football coach at Hillsboro High School. 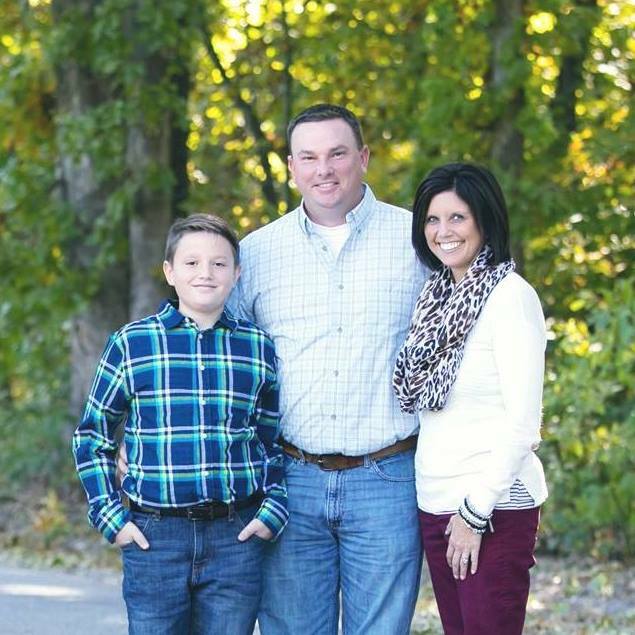 Aaron has been married to Jamie (Bandy) Duff for 19 years, and she is a teacher at Hillsboro Jr. High School. They have two children, Lacie and Zane. Aaron is participating in Stamp Out Cancer for several reasons. First, he grew up with and graduated from HHS with Chris Wygal and knew his dad Ron (STAMPS). Ron was a great man! Second, he has known several good people affected by this disease and has seen the pain it causes. Finally, he loves our community and what this event does for it! He considers it an honor to help the people in our community. TOPPER PRIDE!!! Donate to Aaron Duff & Jessica Furness! 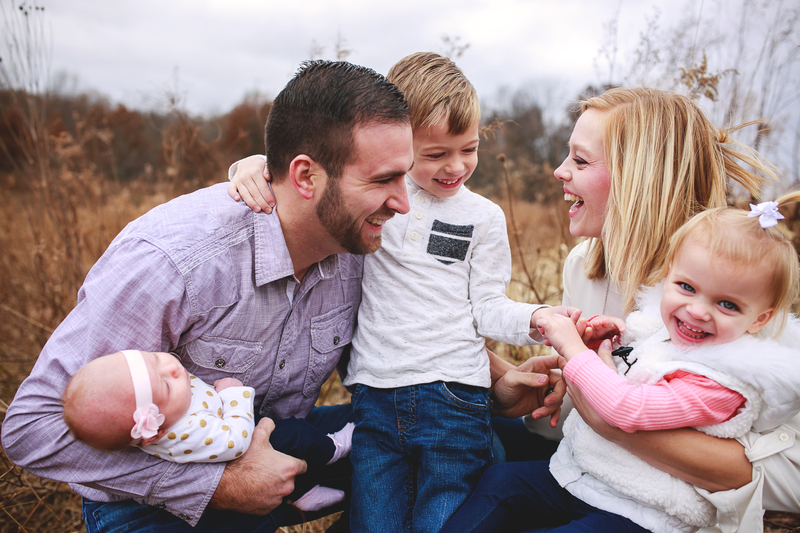 We (Chris and Stephanie Short) live in Litchfield with our three children (ages 5, 2, & 8 weeks). Chris was born in Litchfield and Stephanie grew up in Cisco, IL. We met in college at SIUE, which led to dating and eventually marriage. Through work, we have moved to several different towns in Illinois and Missouri, but are so happy to be back home in Litchfield! Chris works as a maintenance engineer for Pioneer and Stephanie recently changed from an elementary educator to working at the family furniture store. Both of us have experienced cancer within our families, from Stephanie’s dad and grandparents, to Chris’s grandma, and aunts and uncles as well. None of them are positive spots in our lives, but a non-family situation in Chris’s childhood neighborhood really hits hard. In this small rural area of Litchfield (about one square mile) we have lost several friends (6) to cancer and had several others diagnosed with cancer. We have often asked the question of “How can we help?” and tend to find reasons as to why we aren’t the ones to provide assistance. That changed this fall when we were approached about participating in Stamp Out Cancer…our simple answer was “YES!” We may not be doctors or have a lot of medical knowledge, but we have a community that surrounds us with big hearts and a need for assistance. We are honored to have this opportunity and thank you all for your time and support! 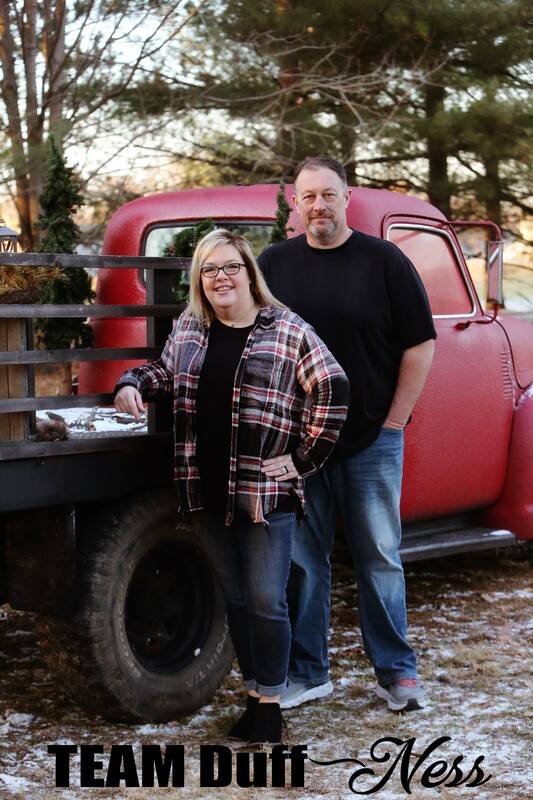 Donate to Chris & Stephanie Short! Ashley and Kenny are originally from Jerseyville, Illinois and Clay City, Illinois, respectively. Kenny has been a member of the Litchfield community for nearly seventeen years and we made Litchfield our home a little over ten years ago. 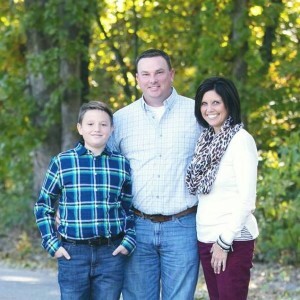 We have one son, Braydon, who is twelve and attends Litchfield Middle School and is actively involved in baseball, football, band, Boy Scouts, and Xbox . Kenny is a Lieutenant with the Litchfield Police Department and Ashley works for the American Heart Association as a Development Coordinator. For the past several summers we have been involved with Litchfield Baseball, Inc. both coaching and as a member of the board of that organization. Kenny has served as the Director of Baseball for the previous four years and currently serves as President. Kenny is also an Assistant Coach for the Litchfield Junior Panthers Football team and we have very much enjoyed being a part of so many kids lives and watching them grow. We love this community and its’ members and have watched as Cancer has overwhelmingly affected our area. We hope by participating in Stamp Out Cancer we will be able to help those who are fighting this horrible disease as well as their families. Stamp Out Cancer provides a great deal of support to the Montgomery County Cancer Association who gives assistance to those brave souls who are fighting this disease and helps them through the toughest times of their lives. Recently, Cancer hit too close to home. It has made us hate this disease. Hate is a strong word, but in this case it is appropriate. Help us help those who are fighting this despicable disease. Donate to Kenny & Ashley Ryker! Team NokoBoro consists of two best friends since 1998 that consider each other as family. Tisha Morris lives in Nokomis, IL and Mandy Wessell lives in Hillsboro, IL. 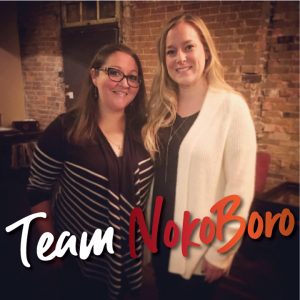 This is where Team NokoBoro was founded–We Come from Two Small Towns and we are Fighting for One Big Cause. Mandy is a Federal Senior Proposal Writer for Grainger. She is the mother of 5 year old, Adaley, and 3 year old, Abram. Tisha is a registered nurse for United Healthcare and works at Hillsboro Area Hospital as needed. She is the mother to a 13 year old son, Mason, and a 3 year old chocolate lab, Pabst. We are both very involved with church, community and volunteering. We decided to do Stamp Out Cancer because giving back is something that we are both passionate about and have experienced the devastating words, “You have Cancer,” within our immediate families. Both of us, along with anyone reading this, knows of a survivor, someone going through treatment, or someone who fought as hard as they could against this disease and lost the battle. We understand the feeling of being vulnerable while waiting for those test results to come back, the biopsy to come back, the treatment to work, the images to be looked at and pray for the doctor to say, “We got it all!” We have both held the hands of loved ones that didn’t survive. Whenever we were asked if we would be willing to participate in Stamp Out Cancer, we were a little nervous to lip sync in front of thousands of people (after Facebook shares) but we couldn’t be more excited to help out particular families going through all of this. It truly is an honor to help our fellow neighbors, friends and families in Montgomery County and we feel very blessed to be able to do so! Donate to Mandy Wessell & Tisha Morris!